Whether they come in a box, bag, or can, foods high in sodium are everywhere. In adopting a low-sodium diet, read product labels and make smart food choices. Hiding away the salt shaker is only one strategy we advise in adopting a better-for-your-health low-sodium diet. As the old adage goes, you are what you eat, and when it comes to hypertension, your diet is a major driver of your blood pressure. If salty foods have a familiar place on your dinner plate, chances are you’ll see your blood pressure numbers rise. Conversely, a low-sodium diet can provide you with the nourishment your body needs while benefiting your blood pressure and cardiovascular health. Following a low-sodium diet requires more than putting away the salt shaker. You need to be conscious of foods high in salt and know which products to choose and which to avoid. Sodium isn’t necessarily a bad thing. It plays a vital role in blood pressure regulation as well as normal muscle and nerve function. However, excess sodium causes your body to retain extra fluid, which drives up your blood pressure and places added strain on your heart and blood vessels. 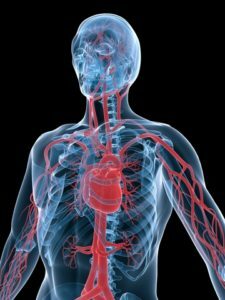 Hypertension is a leading risk factor for heart attack, stroke, and chronic kidney disease. 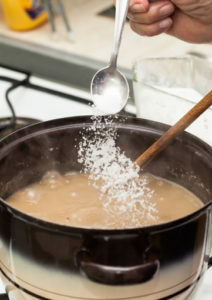 The American Heart Association (AHA) and other experts recommend consuming no more than 2,300 milligrams (mg) of sodium per day (about the amount in a teaspoon of table salt), although the AHA advocates a more ambitious goal of 1,500 mg or less daily for most adults, including those with high blood pressure. Unfortunately, most Americans, including many with hypertension, still consume too many foods high in salt. According to the Centers for Disease Control and Prevention (CDC), nearly 9 out of 10 people age 19 and older exceed the 2,300-mg recommended daily limit of sodium (Morbidity and Mortality Weekly Report, January 2016). Despite efforts by the medical community to heighten awareness of the dangers of eating too many foods high in sodium, most Americans have no idea how much sodium they really eat. A 2014 AHA survey found that 97 percent of the respondents underestimated or could not estimate how much sodium they consume daily. Most of the survey respondents were off by about 1,000 mg. The Dietary Approaches to Stop Hypertension (DASH) study found that diets rich in fruits and vegetables, as well as whole grains, nuts, fish, and low-fat dairy products, helped reduce blood pressure compared with a control diet low in fruits, vegetables, and dairy products. The participants in the study consumed about 3,000 mg of sodium a day. The follow-up DASH-Sodium study found that complementing the healthy DASH diet with lower sodium intake—down to about 2,300 mg a day, and an even lower level of 1,500 mg a day—further reduced blood pressure. In addition to its blood pressure-lowering benefits, one of the major advantages of the DASH eating method is that it doesn’t require special foods or complicated menus. Instead, this low-sodium diet plan spells out the kinds of foods you should consume and how much you should eat each day. 6 to 8 servings of grains. Serving-size examples: 1 slice bread; 1 cup ready-to-eat-cereal, with serving sizes between a half-cup and 1¼ cup; half-cup cooked rice, pasta, or cereal. 6 or fewer servings of meat, fish, or poultry. Serving-size examples: 3 ounces cooked lean meat, skinless poultry, or fish. 4 to 5 servings of vegetables. Serving-size examples: 1 cup raw leafy vegetables; half-cup cooked vegetables; 6 ounces vegetable juice. 4 to 5 servings of fruit. Serving-size examples: 1 medium fruit; quarter-cup dried fruit; half-cup fresh, frozen, or canned fruit; 6 ounces vegetable juice. 2 to 3 servings of low-fat or fat-free dairy products. Serving-size examples: 8 ounces milk; 1 cup yogurt; 1½ ounces cheese. 2 to 3 servings of fats and oils (preferably healthy options, such as olive oil). Serving-size examples: 1 teaspoon soft margarine; 1 tablespoon low-fat mayonnaise; 2 tablespoons light salad dressing; 1 teaspoon vegetable oil. Additionally, eat four to five servings of nuts, seeds, dry beans, and peas each week, but no more than five servings of sweets per week. Just say no: Leave the salt out of your home-cooked meals as part of your low-sodium diet. 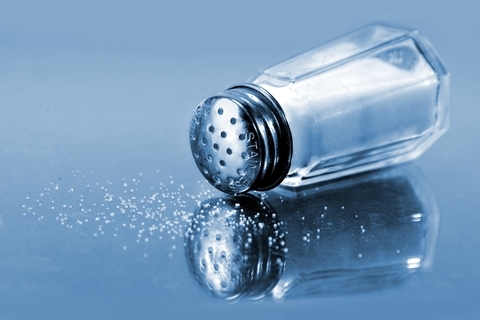 One obvious way to follow a low-sodium diet is to put away the salt shaker. Each teaspoon of salt contains 2,300 mg of sodium. Remove the salt shaker from your table, and don’t include salt in your cooking. Rather, spice up your food with other seasonings, such as pepper, lemon juice, onions, garlic, onion, or garlic powder (not garlic salt), or herbs such as basil, thyme, or parsley. But, if you must have salt, try setting aside a quarter-teaspoon (575 mg of sodium) or a half-teaspoon (1,150 mg of sodium) in an empty salt shaker so you can tell how much you’re allowed to use each day. You also might try lower-sodium “lite” varieties or salt substitutes, but be aware that while salt substitutes can help you reduce your sodium intake, they’re not for everyone. Ask your doctor if salt substitutes are safe for you. The salt shaker isn’t the only source of sodium in your diet, nor is it the largest. More than three quarters of the sodium in the American diet comes from processed or prepackaged foods, along with restaurant food, according to the CDC. Chances are if your food comes in a box, can, jar, or plastic packaging, it’s high in sodium. Some sources of sodium are quite surprising, and they don’t necessarily taste very salty. Among them are breads and rolls, lunch meats, frozen pizza, canned soups, canned vegetables, and chicken (often packaged in high-sodium flavoring solutions). Also, be mindful of the sodium in condiments and other toppings. For example, just a tablespoon of reduced-fat Italian dressing can add 134 mg of sodium to your normally healthful salad. Sprinkle a tablespoon of soy sauce on your rice and you’re bathing it in more than 800 mg of sodium. Plus, if you want to turn that hamburger into a cheeseburger with a 1-ounce slice of cheddar cheese, you’ll add 174 mg of sodium to the 100 mg of sodium already in the burger patty. Flavor the burger with a tablespoon of ketchup and you increase the sodium content by another 154 mg. So, it’s easy to see how you can exceed daily recommended amounts of sodium. But you can start to limit the sodium you get from food by becoming a sodium-savvy shopper, carefully reviewing the nutrition facts label on all foods and beverages and knowing which products to choose and which ones to skip. Look at the sodium content of each product, and use the percent daily value to guide your choices. A low-sodium product contains 5 percent or less of the daily value of sodium per serving, while sodium content equaling 20 percent of the daily value or greater is high, according to the U.S. Food and Drug Administration (FDA). Keep in mind that even foods labeled as “less sodium” or “reduced sodium” can still contain significant amounts of sodium, especially if the regular versions of a product are very high in sodium to begin with. And, check the label for the serving size and the number of servings in the food package. If it contains two or three servings and you eat the entire package, you’re doubling or tripling the amount of sodium you think you’re consuming. So, find out how much sodium each product has per serving, and then multiply that amount by the number of servings per container. add, blood pressure, cardiovascular, cardiovascular health, chronic kidney disease, cooking, dairy, dangers, dash diet, dash plan, diet, dietary approaches to stop hypertension, excess sodium, food, garlic, health, healthy options, heart attack, high blood pressure, high sodium, hypertension, low fat dairy, low salt diet, low sodium diet, milk, mortality, muscle, nutrition, nutrition facts, nutrition facts label, nuts, osteoporosis, osteoporosis guidelines, reduce blood pressure, report, salty foods, serving size, skinless poultry, sodium diet, soy, stop hypertension, stroke, sugar, thyme, vegetable oil, vegetables, whole grains, yogurt. It’s really true. I will eat less salt now.